FENDI-designed and magnificently decorated, 1901 features an additional Juliette terrace in the master and larger terraces than other units, unique to the 19th floor. Adorned with light fixtures by Fendi and Swarovski throughout and appointed with contemporary wall-coverings and beautiful draperies. Fully-integrated Crestron Smart home, complete with Sonos audio. Ultra-high-end furnishings and collectible art are negotiable and can be included. Amenities feature Rolls Royce House Car, state-of-the-art Spa and Fitness facilities with Hammam, Cinema, Golf Simulator, Wine/Cigar Rooms and Toddler/Teen lounges. Enjoy direct access to 5-Star/5-Diamond Acqualina Resort with on-sight dining by Il Mulino NY and AQ. 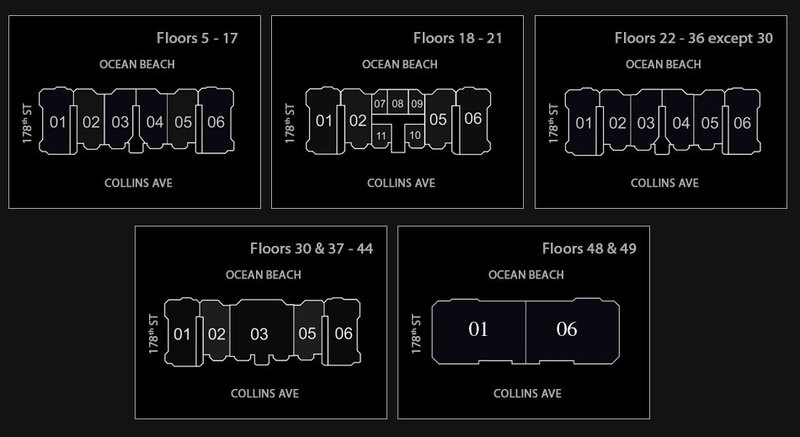 1901 is the most spectacular residence at Florida&apos;s most prestigious building.